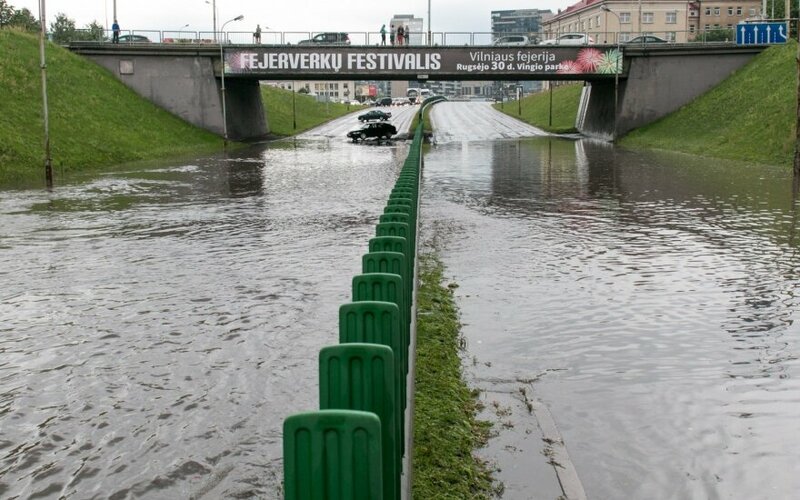 Vilnius will be safe from flooding after renovation of the wastewater system – the work has already been started and will be finished within three years, the Lithuanian capital's Mayor Remigijus Šimašius said after the city was again flooded following a heavy downpour on Tuesday evening. "After the street flooding the situation was under control at 5:30 a.m., the consequences had been eliminated. To prevent this from happening in the future, we have launched a wastewater and cleaning installation project, decisions were taken last year, the organization phase has been started. The major problems should be solved, especially in the two key locations – on Narbutas Street and on Geležinio Vilko Street under the roundabout of the University of Education Sciences," the mayor told a news conference on Wednesday morning. Some 26 million euros will be invested in the modernization of the Vilnius wastewater system. In Šimašius' words, services worked overnight to handle the consequences of the heavy rainfall, with two problem areas remaining in the city – the Western bypass and the Verkių Street that may have to be closed to traffic. He said there were no short-term solutions to the problems of the Vilnius wastewater system, therefore, similar heavy showers would again cause street flooding. "Weather services again forecast a storm in a week, so the same streets will be flooded again, as there have been no investments in master water collection networks for decades, causing all the rainwater to collect at the Education University roundabout," said the mayor. 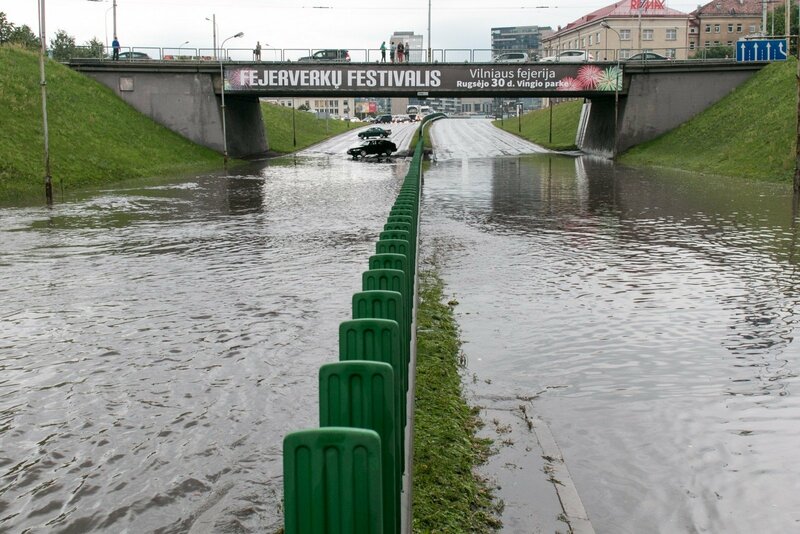 The heavy downpour on Tuesday night again flooded Vilnius, just like it did two weeks ago. Some streets were impassable, interrupting traffic of public transportation.